When I became a mother last year I realized that I truly entered the realms of womanhood. While it’s a wonderful club to be a member of, there are the downsides too. I feel that as women we are in constant competition with each other. We are constantly being made to feel like we aren’t good enough…in ALL areas of life. You’re a working mother? Well, then you aren’t giving enough time to your children. You stay home with your kids? Then you aren’t contributing to society and you’re wasting your education by sitting around watching soaps all day. Men can basically get along with ANYONE. As a couple, Zach and I have a hard time finding other couples to hang out with. It seems like we always like the husband but aren’t as crazy about the wife. Why is it that us women have such a hard time accepting and getting along with each other? We worry so much more about what other WOMEN think of us than we do what men think about us. I will try on outfits before wearing them to events and ask Zach if something looks okay. When I get his opinion I don’t really care if HE thinks I look good. What I’m really asking is if other women will think I look good. Men love us in our sweats, ponytails, and no makeup. Other women love us in cute outfits, matching accessories, perfected hair, and made up as much as we can be. When walking down the street I promise that all of us in this room spend more time “checking out” other women than we do men! We judge each other, critique each other, and pick each other apart until there is nothing left to pick at. How can any of us feel happy and secure with ourselves when we spend so much time tearing every other woman apart? I feel that this situation applies to all women in every stage of life but as a new mom I have really seen the effects of it. When you become a mom you are suddenly making a LOT more decisions and choices which open up a whole new batch of things for others to judge about you. 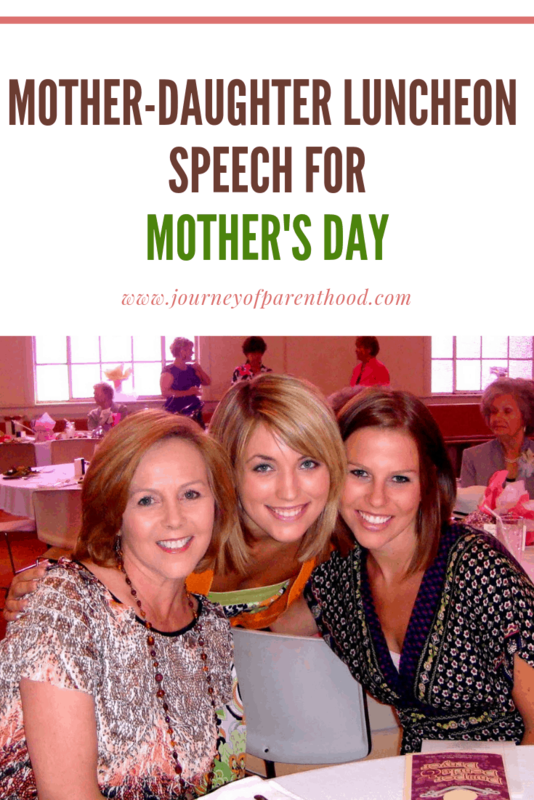 We all seek out other moms as friends but what do we do when we get together? We compare our children! Someone tells you their 8-month-old is crawling and you just can’t help yourself but to say that your baby crawled at 7 months. Your toddler has a vocabulary of 20 words while theirs has one of 30. They swear they came home from the hospital wearing their pre-pregnancy jeans while a year after giving birth you feel like you could still probably fit in your maternity ones. Why can’t we just be happy for each other? Why can’t we look for ways to build each other up instead of tearing each other down? Until I became a mother I was always a pretty confident person. Sure, I never thought I was model material or anything but I felt good in my own skin. After giving birth everything changed. The body I had accepted and claimed as my own was gone and I had to adjust to this new one little Mr. Kye left me with. It’s a hard adjustment. And men just don’t understand this the same way women do. But was I comfortable talking to my peers about it? No! I felt like I had to find clothes to hide the imperfections, bras to put things back in place, and a smile to mask any unhappiness I felt with myself. We NEED other women. While our husbands are amazing men they are just that-MEN. They will never fully understand our need to talk things to death, just like we’ll never fully understand their need to sit numbly in front of a tv for hours watching sports. As women, we can relate to each other and help each other through rough times. Why can’t we put aside our stupid petty judgments and just be real? Be the women we are and be proud to be the imperfect mothers, wives, daughters, and women that we will always be. I think so often we get caught up in what society wants us to be that we lose sight of what the LORD wants for us. Proverbs 31 goes into detail about what the Lord wants of us. While I’m not going to read it all to you I hope that each of you will re-read that chapter and be reminded of where our focus needs to be. It doesn’t need to be on other women, keeping up with the Joneses, or pressuring our children to achieve things for our own benefit. It needs to be on God and what He wants of us. While it’s not a sin to strive to be the best we can be on Earth or to want our children to succeed in the world, this world should not be our #1 concern. Our goal is Heaven and to spend our eternity with God. While you may not feel accepted by your peers or appreciated for your hard works someday you will enter the gates of Heaven and God will tell you He accepts you into His home. He will congratulate you on your good works and tell you that you pleased HIM. Isn’t His appreciation the one we truly desire? I hope that leaving here today each of us will look at ourselves and how we treat each other. We are called to show others that we have Christ living within us…do our actions reflect that? Do we build each other up and help each other get to Heaven? This is something I hope that I can personally work on within my own life. I want to stop beating myself up so much, worrying so much what others think of me and not beat others up either! We are blessed to be awesome Christian women and we each have so much to give to each other.